All Souls' Day is a celebration to remember those who have died (in particular one's relatives). 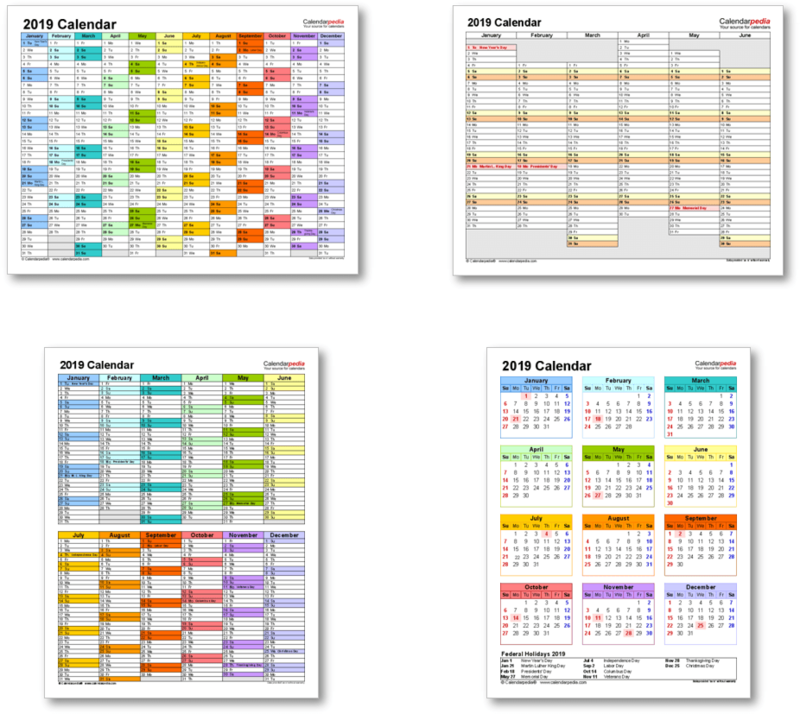 It always falls on November 2 and is preceded by Halloween on October 31 and All Saints' Day on November 1. 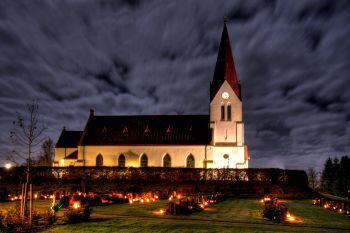 Together these three days of remembrance of the dead form the triduum (a religious observance lasting three days) of Hallowtide or Allhallowtide. People traditionally visit the graves of deceased relatives during this time. 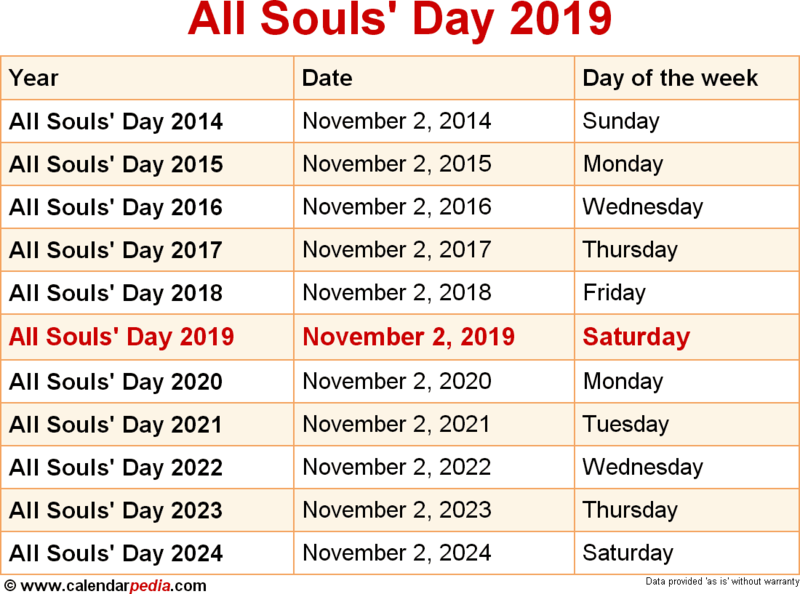 Known liturgically as the "Commemoration of All the Faithful Departed", All Souls' Day is often seen as a continuation and extension of the All Saints' Day celebrations conducted the day before. While All Saints' Day is dedicated to those who are in heaven, All Souls' Day is a day of prayer for those who have died but have not yet reached heaven. The custom of placing lit candles on the graves of deceased relatives on All Saints' Day often continues into All Souls' Day. All Souls' Day is related to the Mexican festival Day of the Dead and the ancient Celtic seasonal festival to mark the end of the harvest and to remember the dead called Samhain. The next occurrence of All Souls' Day is marked in red.